The Canoe Club Ballroom has been family owned since 1964. 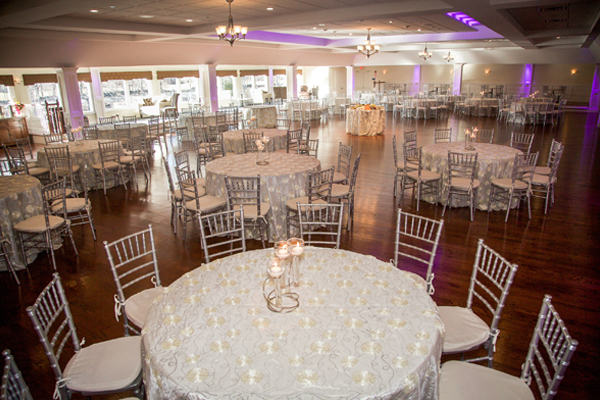 We pride ourselves on creating the perfect setting for your special day. With over 50 years of experience as a wedding venue, we understand that it is the little things, the attention to detail that makes your wedding ceremony and reception unfold the way you have always dreamed. 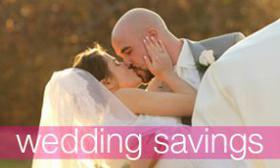 The flexibility of our wedding packages allows you to create your own personalized wedding. 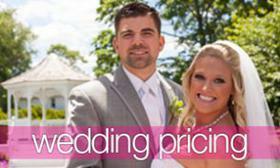 We understand that our wedding packages will not fit the needs of every couple, so you are able to create your own. Whether you choose a simple package and personalize it with options or select from our inclusive packages, you will get the wedding that exceeds your every desire without paying for the extras that you do not want. Two acres of beautifully landscaped courtyard with a "Two-Tiered Gazebo" all nestled riverside. You and your guests will enjoy the exclusive use of the Canoe Club Ballroom and our two acres of beautifully landscaped grounds. 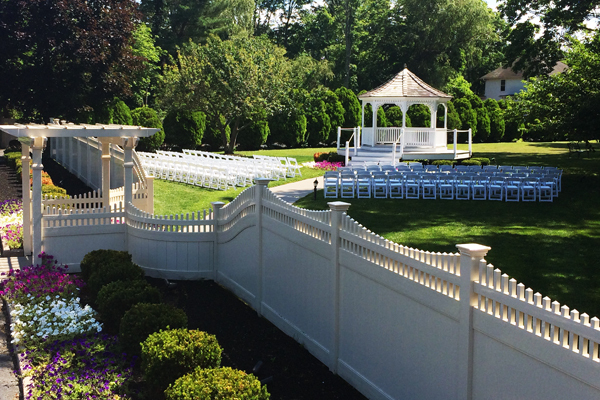 Our two-tiered gazebo, courtyard with a new bridge in the background, and riverside view make an elegant setting for that perfect outdoor ceremony and photo taking. Adjacent to our property there is a local park with water falls, beautiful backgrounds, and a covered bridge. Our interior offers many benefits to the wedding party and guests. We offer a designated bridal suite for the happy couple as well as a private photo area for the entire bridal party during your cocktail hour. Our new lounge area overlooks the beautiful Nunckatesset River and is adorned with comfortable furniture which offers an inviting and elegant atmosphere for your closest friends and family members as they mingle and enjoy your special day. Have the picture-perfect outdoor ceremony that you have always dreamed of. 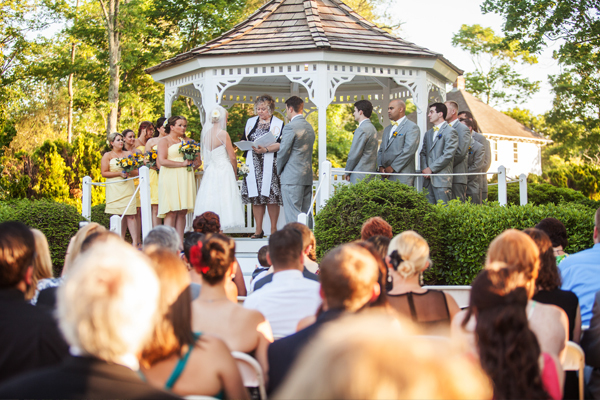 Our riverside, two-tiered gazebo, has enough seating for all of your guests to comfortably watch as you share that special moment reciting your vows and becoming a married couple. Your ceremony will include 30 minutes of additional time and a full staff on hand. Up to one hour of rehearsal time is also included. 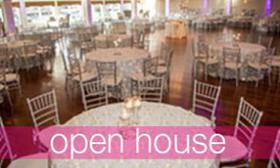 To contact one of our event managers please fill out the form below or call us at 508.588.4747.